One of great joys of my life is seeing the pics my Twitter followers post after they’ve cooked something from one of my books of TV shows. 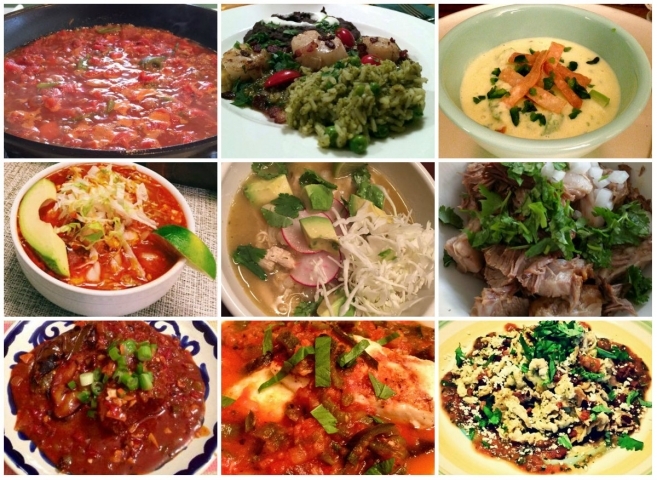 There are hundreds of examples: carnitas, grilled lamb chops, crema de elote, chocolate souflee and so many more. Once a week for the next four weeks, I’ll post a recipe on our blog and, if it appeals, I’ll ask you to make, photograph and post it on Twitter, Instagram or Facebook with the hashtag #MoreBayless. I’ll reward the top 5 pics each week with a signed copy of “More Mexican Everyday!” Not too bad a deal, seeing how all that’s required is for you to make dinner and have a smart phone. True to the spirit of the book, I’m selecting the book’s most deliciously simple dishes, not elaborate feasts. And all the winning photos will be featured on my website, along with a special shout-out. Here’s the first recipe, a Roasted Tomatillo Enchiladas dish you should know by heart. The deadline to submit a photo in this first round is Tuesday, April 7 at midnight. Love to buy the Fronteras sauces. Especially the green chile enchilada sauce. Love, Love Rick, and RED “O”… Bought 4 cookbooks last year for Christmas Gifts. AMAZING. GIFTS..
Do we cook our own interpretation of your recipe or make it exactly like your recipe? Also, should the dish look similar or our own interpretation? We’d like to see you cook the recipe as-is, mostly because it’s a good way to show off the new “More Mexican Everyday” cookbook, which is all about simplicity. As for the photos, feel free to get creative. Do we have to post to all three of the social networking sites? I don’t Tweet. After looking at a couple of different postings about the contest, I can’t tell whether we need to post on Facebook, Twitter AND Instagram. I don’t have accounts on all three of those social media platforms, will just one or two be sufficient to enter the contest? I loved your garlicky sauce to make with rice..Delicioso!! We found it, Silvia! Looks tasty! It looks like your tweets are set to “Protected,” which means we can’t see them. You’ll have to tweak your privacy settings to make your tweets public. Please let us know if you have more trouble. Thank you, I hope I switched the right setting! You sure did. We got it! Thanks for entering. Is Rick signing the pre ordered books? Also, for the book signing at the VIBE event will he sign the books there? or is it only so many people, like first come?Thanks!!! 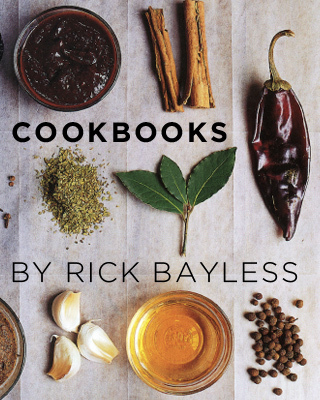 Only cookbooks purchased from the restaurants will be signed, and Rick WILL be doing a book signing at Vibe Up! I love frontera salsa! perfect for my tacos and nachos.